Hydro Systems offers two different styles of Integral W&Os. First is our standard “round” overflow cover. Second, is the “linear” cover (often called the “linear drain”). Both styles are Integral W&Os and both styles are available on most freestanding models and some drop-in or alcove models. For more information, please contact us. The integral linear waste and overflow option is a must! 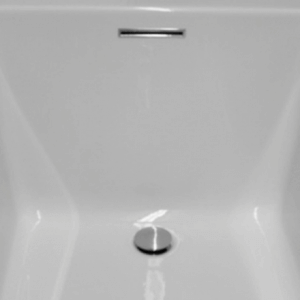 Not only does this feature give your bathroom a sleek and stylish look, it also adds an additional inch to your tub’s depth allowing you to soak even deeper into the warmth of your bathtub. 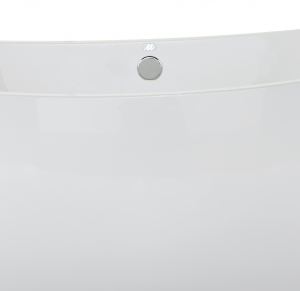 The round integral waste and overflow option is the standard (or default) style for our Maestro Collection models. This style projects pairs perfectly with classical design aesthetics.